Settled right in the middle of Coral Gables and Miami proper, the three-quarters of a square mile city of West Miami is a small but proud part of Miami-Dade County. Originally incorporated in 1947 with only seven hundred residents to its name, West Miami has grown into a city of over six thousand people. Demographically diverse, the city boasts eighty-four percent of its population as Hispanic. It is also known as having the fourth highest percentage of Cuban residents since the turn of the century. Such a high concentration of people, packed together in the small city, can lead to an inevitable reality that many of them must face. 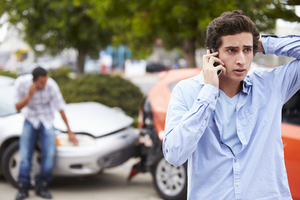 Car accidents are traumatic, even life-threatening events, not to mention costly. Miami Dade itself is has an average of 371,432 crashes from 2014 to 2016, according to the Florida Department of Highway Safety and Motor Vehicles. Not to mention over 900 fatalities, and over 90 thousand injuries, all these statistic show that driving in Miami-Dade can risk harm for both you and your family. Well, for most of us, we’re providers. We take care of our families by going to work every day and coming back every night. That requires a car, insurance, and guaranteed safety if something goes wrong. Not driving is an impossibility for the average working class American. That is why turning towards finding the best possible West Miami Car accident attorney is the prudent and correct thing to do. With patience, and thorough research, you can make that choice comfortably, without fear of bad service. At Wolfson Law Firm, our West Miami personal injury and wrongful death legal team and lawyers have worked with and assisted the people of Miami-Dade after car accidents and life altering injuries for over fifty years. With offices in Fort Lauderdale, Miami, Fort Myers and West Palm Beach, they’re more than available to meet with and consult over your situation. They can even meet you where it’s more convenient and are available to reach over the phone at (305) 285-1115. Mr. Jonah Wolfson is the managing attorney at Wolfson Law Firm. He is a bilingual West Miami personal injury and wrongful death lawyer with decades of experience in his profession. Wolfson Law Firm’s West Miami legal team is ready for you call and will answer any questions you or your family may have towards working on getting compensation. Call now at (305) 285-1115 to schedule a free consultation in person or over the phone.